Selling a home in a seller’s market is far different from selling a home in a buyer’s market. If you are lucky enough to be experiencing a seller’s market in your area, it is indeed a fabulous time to sell. 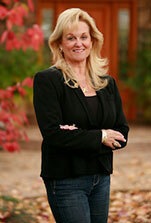 ALWAYS REMEMBER TO CONTACT KATHY PAPOLA AT NETWORK REAL ESTATE IN GRASS VALLEY AS SHE IS THE ONE TO WORK WITH YOU. Not only will your days on market be remarkably fewer in a seller’s market, but you might receive multiple offers, which could drive up the sales price. It’s generally a good idea to take advantage of pent-up demand because it’s the demand that drives competition. The larger number of buyers for your home might be few and far between, if there is not much to choose from, the nicest homes will attract the most attention., But the ugly homes will sell, too, simply because there is very little for sale. Once again…..This is where calling KATHY PAPOLA IS YOUR BEST TO HELP YOU WITH YOUR PURCHASE!. Some people might think that all you have to do is stick a sign in the yard and let the market take care of the rest! It might be easier to sell in a seller’s market but it takes a lot more to sell a home than hanging a sign our front. It requires strategy. Let KATHY PAPOLA BE THAT PERSON THAT YOU CHOOSE TO WORK FOR YOU AND WITH YOU! You will never find a more qualified Realtor than KATHY to advise you about home staging, helping you to ready Your home top to bottom! Buyers will overlook small defects but let Kathy advise you on what you feel needs to change!